The flask was halfway to my mouth, one for the road. Then a hesitant rap on the glass told me I wouldn’t be leaving early. I guessed it was some high class dame with long fingers. I took a swig then popped the flask into the top drawer. As she stepped in, I saw that I was right. A wave of raven hair hid one eye. The brim of a fancy hat hid the other. She had a mouth that might light up a ballroom with a smile. But she wasn’t smiling. I nodded. Her cigarette case and lighter gleamed in the day’s dying light. “Thank you, Mr. Spade.” She stood. “If this answers my needs you’ll be compensated . . . handsomely.” She left, and the door closed softly behind her. It felt like we would be meeting again before long. This entry was posted in Funny Names in Literature, humor and tagged fiction, humor, humour, mystery, writers. Bookmark the permalink. I thoroughly enjoyed this! Amazing stuff! And just curious… is “Amb” meant to be an homage to our cherished Amber?!? You know what they say. Any resemblance is purely coincidental. Hmmm….this long fingered beauty reminds me of someone…can’t quite put my short finger on it. Shall remain a mystery. Hope you’re not suffering too badly from lack of sleep. This post should satisfy your “friends” who collect them. Dashiell is fun to say. I feel like I should be writing this comment from behind a thick cloud of cigarette smoke, holding a glass of whisky in one hand and talking with a guttural voice about my fatalistic views. Some things are meant to remain a mystery. Others come to you in a flash, when you don’t expect it. Like when you’re peeling potatoes. Some people call it fatalistic. I like to think it’s just realistic. It is realistic to be fatalistic. A lot of deterministic philosophers would agree! I can see belief in free is going to conflict with maintaining this Bogie persona. Took me a while to realize Bogie was Bogart, but I totally agree! It’d be hard to be both for free will and Bogie! Also, just learned something interesting – if you click a comment on the wordpress sidebar (upper right of your screen) and press T before you click in the “Reply” field, it puts the comment in the trash. Luckily, there’s a red warning and an easily-visible undo button, so you’re not likely to delete a comment inadvertently! Interesting feature, Dave. Now you know what to do when I go on a drunken screed. Haha, I love it! I would never delete a drunken screed like that!!!!!! That’s a comedy goldmine! This post also popped out briefly last week when I hit the Publish button instead of the Edit button by mistake. Pingback: Further Adventures at BoFN | What Do You Do for an Encore? Wow. That was like reading something straight from Dashiel Hammett. Well done! You did a great job capturing his voice on the page. 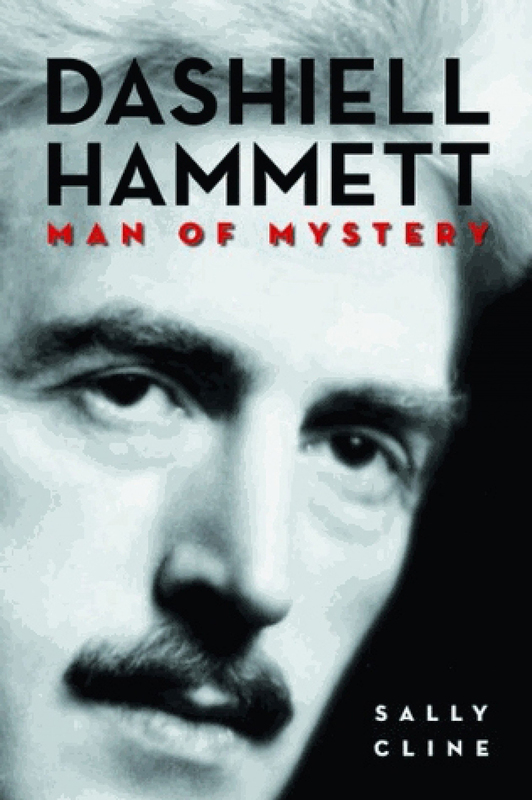 I’m not sure if it’s available where you currently reside, but if you ever get a chance to read Hammett’s “They Can Only Hang You Once”, it’s a quick read and Spade unravels enough twists and turns to unmake a blanket. Well, I saw Bogart and Veronica Lake in my mind. ‘Tis hard when a name is spelled as though there were three syllables and yet you only say one. I follow the muscleheaded blog, and he posts Hammett quotes nearly weekly. Never lighthearted, frolicking quotes, but I guess that’s what you get with a smoking, drinking, tuberculosis-stricken writer, eh? Did no one ever call him dashing? ‘Tis hard when a name is spelled as though there were three syllables and yet you only say one. I’m still trying to figure this out, Kerb. I’ll get it someday. But you’ll be happy to know I tried saying a lot of names using only one syllable! Without success. I haven’t heard from MHB for a long time! Probably because I ran out of good jazz fusion clips to post. I don’t know for sure, but I’m guessing Lililam Hellman called DH dashing. Are you going to turn sideways and disappear like The Thin Man again, Diddy? Nice piece, dude! re you going to turn sideways and disappear like The Thin Man again, Diddy? You got me pegged there! There are lots of internet internet sites offered which will permit you to play on line for cost-free.